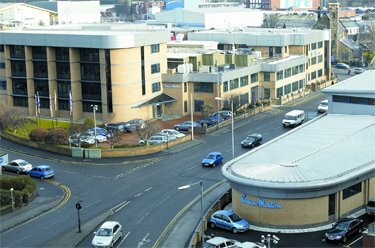 Swann-Morton Limited is based in Sheffield, England and employs around 350 people producing 1.5 million surgical and craft blades each day. Swann-Morton surgical and craft blades are sold to over 100 countries throughout the World with over two thirds of production being exported. The success of Swann-Morton Limited can be attributed to its unique culture and the philosophies of the founders who started the company in 1932. Walter Swann, a craft apprentice, and Alfred Morton, a metallurgist, founded a razor blade manufacturing company, W. R. Swann & Co, that has refined its expertise over many years and now produces scalpel handles, scalpel blades and craft blades trading as Swann-Morton Limited. Swann-Morton has always been based in Sheffield, which is synonymous with the finest quality carbon and stainless steels. The expertise accumulated over 70 years has contributed to current manufacturing techniques that produce consistently high quality cutting performance.